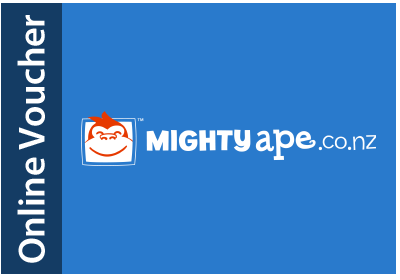 Mighty Ape is one of New Zealand's leading e-commerce web sites specializing in Games, Books, Music & Movies. Over 400,000 products in stock and ready to ship. Once redeemed, the credit can be used towards any purchase on mightyape.co.nz. Gift vouchers cannot be exchanged for cash. Lost or stolen gift vouchers cannot be replaced. This eGift Card and the others in our range are part of the GiftPay Flexi eGift Card, an instant, digital gift card that lets the recipient choose where to spend their gift. Sign up for a business account to get started, or contact us for more information.